With the national reform and research agendas occurring in teacher education, one of the most important areas needing theoretical analysis and empirical research is assessment and evaluation. New initiatives in the education of teachers and new roles in professional practice demand new means to assess both learning and performance. 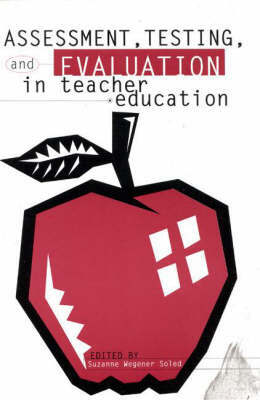 In recognition of this demand, this book is designed to examine how students can best be selected for and evaluated while in teacher education programs. The book reviews and synthesizes the existing knowledge in teacher education assessment, as well as presents new inquiry to extend and deepen this knowledge.